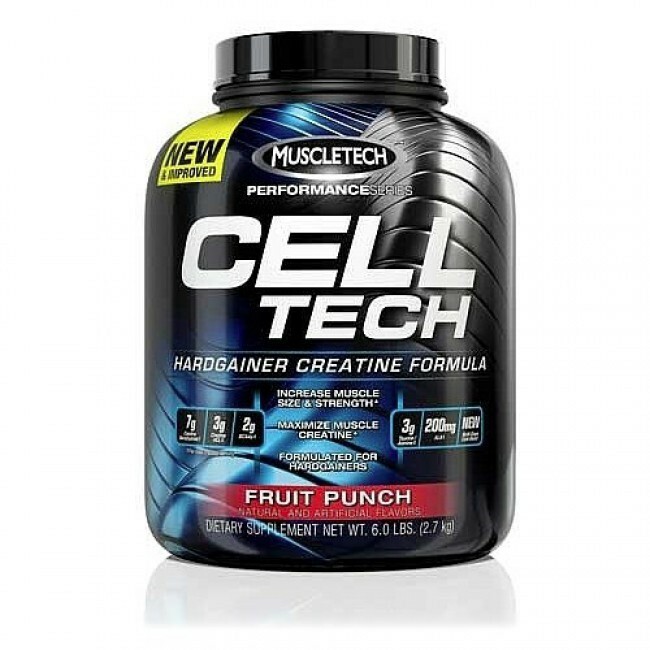 CELL-TECH offers 7 grams of HPLC qualified creatine monohydrate and also 3 grams of creatine HCl which will helps enhance between set muscle tissue recovery, boost muscle overall performance, and also develop more lean muscle! 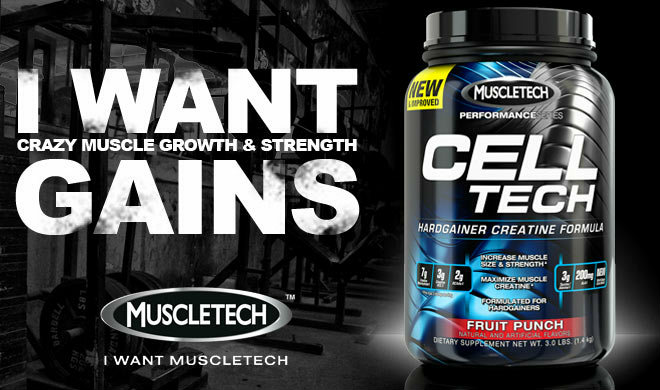 CELL-TECH provides a multi-phase combination of carbohydrates which will helps shuttle creatine directly into the muscle as well as quickly replenishes glycogen stores along with supply an intense muscle-expanding result. CELL-TECH provides L-leucine, L-isoleucine and L-valine with a 2:1:1 ratio and also alanine and taurine. These types of free-form amino acids are usually some of the majority abundant amino acids inside muscle and also aid in cell volumization. CELL-TECH contains 200mg of ALA (alpha lipoic acid). Study recommends that ALA will help increase the absorption of creatine as well as glucose straight into the muscle cell via specialized transporters. Subjects consuming creatine with juice gained 0.8 pounds only. IMPROVE BICEP CURL BY 28 Percent IN 8 WEEKS Another research, subjects consuming the volume of creatine and also carbohydrates discovered in 2 scoops of CELL-TECH PERFORMANCE SERIES significantly improved their strength by 17% on the bench press, 29% on leg press and also 28% on biceps curl respectively. NO CYCLING A clinical research revealed that will the use of CELL-TECH didn't lead to the down regulation of creatine transporters. This allows sports athletes to continue to advantage from creatine use, rather of cycling on and off.